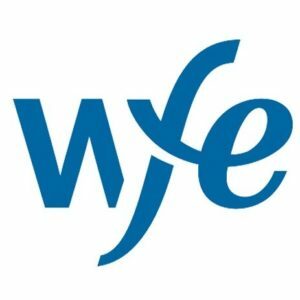 The World Federation of Exchanges (“WFE”), the global industry group for exchanges and CCPs, has today responded to the International Organization of Securities Commissions’ (IOSCO) Growth and Emerging Market Committee (GEMC) consultation on ‘Sustainable Finance in Emerging Markets and the Role of Securities Regulators’. The WFE has engaged on the topic of sustainability since the inception of its Sustainability Working Group (SWG) in 2014. 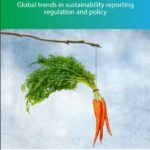 Since that time, the group has produced a number of market-leading research reports on the topic of sustainable finance including the annual WFE sustainability survey (WFE Annual Sustainability Survey 2016; WFE Annual Sustainability Survey 2017; WFE Annual Sustainability Survey 2018); the WFE’s Environmental, Social & Governance (ESG) Guidance in 2015 and 2018; and finally, the WFE’s five Sustainability Principles, which were launched in October 2018. These principles constituted a formal declaration by the WFE and its membership to take on a leadership role in promoting the sustainable finance agenda. The WFE encourages IOSCO to ensure that its final recommendations are clearly linked to the remit of securities regulators in protecting investors – ensuring that markets are fair, efficient and transparent, and reducing systemic risk – and that this link is clearly articulated. This will avoid suggestions of regulatory over-reach. The WFE is supportive of the role that regulation can play in enhancing the availability of material, investor-relevant, decision-useful information, and the quality of sustainable finance products, but cautions against a wholesale rush to regulation. For example, moving too rapidly to a mandatory reporting approach may result in poor-quality reporting that simply increases costs for issuers and does not meet investor objectives. In some markets, the focus should instead be on market education and capacity building. The WFE agrees that ESG-specific disclosure and reporting requirements should be a key part of global regulatory standards, but recommends that rather than creating bespoke disclosures, regulators should encourage the use of existing widely-accepted, globally-used standards and metrics. This also applies to the definition and taxonomy of sustainable instruments, where the WFE advises that IOSCO steers members to pre-existing standards and frameworks, rather than encouraging them to create their own.